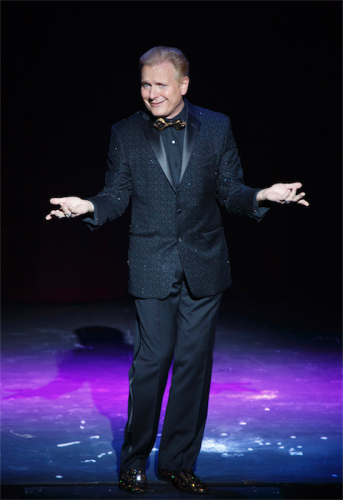 “The Illusionists”… back with a new show from Broadway. “THE Illusionists” will be back at Canberra Theatre next month with a new show from Broadway. The show features sleight of hand, levitation, mindreading and disappearance as its performers pay homage to the great illusionists of the past while subjecting their tricks to a contemporary twist. Master illusionist Jeff Hobson plays the key role of “The Trickster”, and tells “CityNews” by phone from his desert home in Las Vegas: “My job is to keep the show moving along, but you never know what to expect. The show’s promoters proclaim their reverence for the most famous illusionist of all, Harry Houdini, but as Hobson notes, Houdini’s name was also synonymous with danger, sensational escape acts and daredevil challenges with police although he died in 1926 of peritonitis after a ruptured appendix. Hobson leads a virtuoso troupe that includes “The Mentalist”, mind-manipulator Chris Cox; “The Inventor”, magic consultant Kevin James; “The Showman”, magician Mark Kalin; “The Conjuress”, sorceress Jinger Leigh; “The Manipulator”, sleight-of-hand artist An Ha Lim; “The Warrior”, crossbow exponent Robyn Sharpe and “The Daredevil”, British escape artist Jonathan Goodwin. “Your life is a bit short, your career is not that long,” says Hobson of some of the more foolhardy exponents of illusionism. He has been besotted with magic since seeing his first illusionist presentation at age 7. He performed his first magic show at age 11, was first paid for doing it at age 12 and by the time he graduated from high school, he was doing so well financially that he didn’t have to get a regular job. “By 29, I’d moved to Vegas and I’ve been there for 20 years,” he says. So, we ask, what is the fascination of magic among ordinary punters? “I think there’s a bit of magic in everyone – children dream of being Superman or Superwoman, it’s a little dream that ordinary people can do superhuman things,” he says. But make no mistake, he says, the profession requires an extraordinary amount of discipline.